1:05 – Is the Cowboys defense in trouble with latest rumors/trade moves? 3:15 – Barkley defends his QB — Is Eli the most to blame for the Giants situation? 5:15 – Jordan Howard trade — Who won this trade: Philadelphia or Chicago? 7:20 – AB Trade — Is this a bad president for other NFL players? 9:00 – Like, love or hate Bryce Harper getting booed on Opening Day? 10:30 – Is Charles Barkley out of line or right about LaVar Ball? 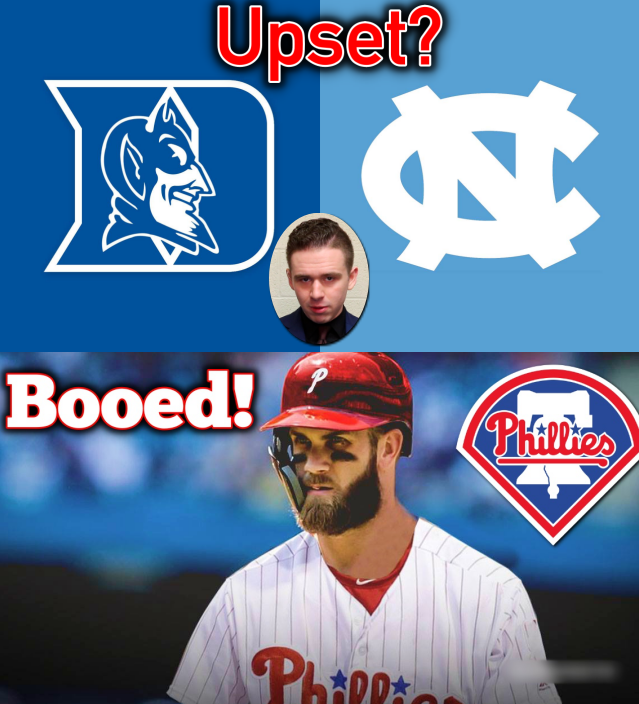 12:50 – Is it more likely Duke or NC will be upset?